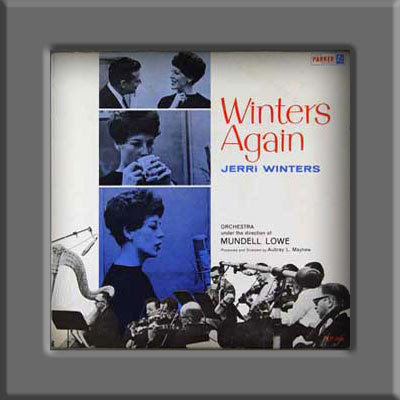 "What is what sets Jerri Winters apart from so many other young singers who never quite make the musical grade?..." That's the beginning of the liner notes and you can guess how it goes... with, as usual, no information! The only one they give is that the entire album was recorded at Universal studios in Chicago with Bill Putnam personnaly handling the controls. He has produce a frame of sound beauty fot the piece de resistance, Miss Jerri Winters (sic!). That's it my friends! You to judge now! I've no more to say, the back side of the other album has even no liner notes, just the tracks and the band! I enjoy her 'funny, deep' voice and would love to listen to her recordings. 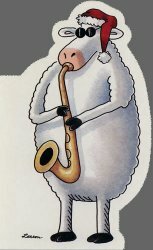 "Winter's Here" is the another one she recorded, but you did not mention. like a deep well, you keep pulling out all of these great lp's to share with us. enjoyed this one and am looking forward to any other releases from her. I loved this album,Daniel.I found it very bright & cheerful. Can't wait to see what's next ! Thanks again. 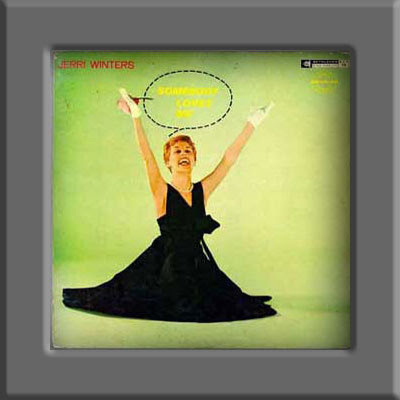 miss winters was one of the coolest sounding jazz singers like anita o'day, june christy and chris connor. winters has a similar sound of sarah vaughn and o'day. she started as a band singer for stan kenton and later released three solo albums. i wonder why she didn't do more albums. she's one of my favorites.